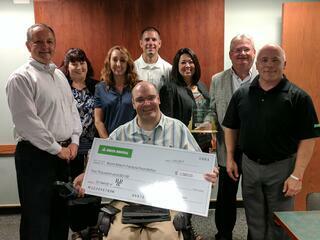 Waukesha, WI – Delta Dental announced R&R Insurance Services as Small Business Agency of the Year. The Small Business Agency of the Year is presented annually to the agency partner that places the most new group dental plans, with less than 50 enrolled employees, in a given year. Both R&R and Delta Dental are mission driven organizations with a passion for building long-term relationships, giving back to those in need, and making a positive impact in the community. "We value R&R Insurances’ commitment to helping improve oral health for more Wisconsinites," said Rick Zupan, Delta Dental of Wisconsin. R&R Insurance Services, Inc. has served the insurance needs the Midwest since 1975. 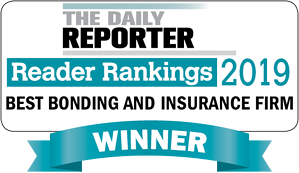 Today, R&R is Wisconsin’s largest singly owned independent insurance agency offering businesses and individuals a full range of insurance products including property casualty, employee benefits, workers compensation, liability, life, dental and home/auto. R&R is also a shareholder with Assurex Global, a worldwide network of leading independent insurance agencies. For information about R&R Insurance Services, visit R&R online at www.myknowledgebroker.com.